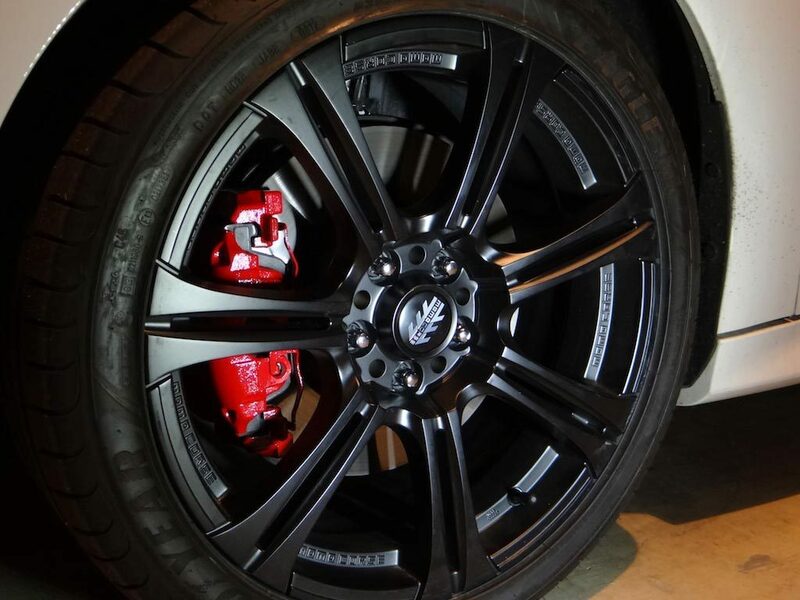 Our custom painted calipers can change the way your custom rims look by adding some color, custom engraving and much more! Each configuration is engineered for the specific vehicle application to ensure proper clearance and a secure fit.Our Custom Painted Calipers are engineered, developed, and manufactured in the USA under strict quality control guidelines and procedures. Every order that we ship is hand inspected for quality and accuracy. The challenge was to develop a high quality, form fitting brake caliper cover which could meet factory wheel clearances, fasten securely and keep installation simple. This endeavor required 4 years to engineer and develop. Our Custom Painted Calipers or Caliper Covers are engineered and developed with highest manufacturing standards. There is a vast amount of technology and engineering behind each and every component. With the utilization of aerospace grade aluminum and stainless steel, our product also utilizes CNC machining, hydraulic forming and TIG welding. Additionally, these Caliper Covers are tested regularly for safety and quality at the OEM level. Contact us today about our custom caliper or caliper cover packages. We offer custom painting, engraving and installation. Our trained specialists can give you that head-turning look when you drive by! This entry was posted in Blog and tagged Caliper Covers, Custom Caliper Covers, Custom Calipers, Custom Painted Calipers. I have a 2014 Jeep Grand Cherokee that I am looking to have a few exterior chrome trim pieces replaced with black ones (door handles, rear bumper step plate, grille inserts and a tailgate badge. I am also going to change the rims. Lastly, I don’t want to replace the exhaust system since the car only has 700 miles on it. It is a V8 Hemi but I want to know if there is something on the inexpensive side that will make it louder (like a Borla)? I see items for sale on eBay of new parts that look like a short tail pipe but don’t know. Are these something that you can do? I would have the rims shipped to you and I have all of the other pieces….except exhaust.